MANILA, Philippines (AP) — Gunmen abducted two Canadians, including a former mining company executive, a Filipino woman and the Norwegian marina manager at an upscale resort complex on a southern Philippine island, sparking an air and sea search by authorities, officials said Tuesday. Ridsdel is the former chief operating officer of mining company TVI Resource Development Philippines Inc., a subsidiary of Canada’s TVI Pacific, where he is still a consultant, a company officer said. 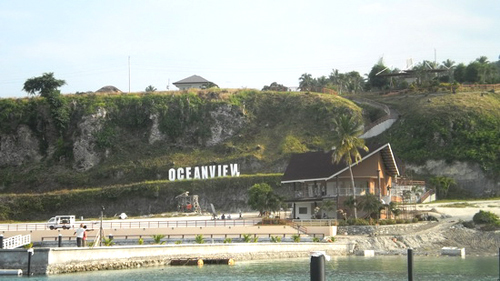 There were no immediate booking cancellations and departures of tourists on Samal island although resort operators expect a drop in the number of visitors once news of the abductions spreads, said Araceli Ayuste, who operates two resorts. No group has claimed responsibility. Muslim and communist rebels, al-Qaida-linked Abu Sayyaf militants and criminal syndicates have been active for years in the restive southern region due to weak law enforcement in rural areas despite years of on-and-off government crackdowns. Communist New People’s Army guerrillas are active in the hinterlands of the Davao region, about 975 kilometers (610 miles) southeast of Manila, where they have denounced foreign mining operations and military counterinsurgency assaults. The Abu Sayyaf abducted 21 people, mostly European tourists, from a diving resort in neighboring Malaysia in 2000, then abducted three Americans and 17 Filipinos the following year from the Dos Palmas resort in Palawan province southwest of Manila.